According to a report today from the Metropolitan Police Service (MPS), London’s Territorial police force, the Wikileaks Co-Founder Julian Assange has been arrested by officers from the Metropolitan Police Service at the Ecuadorian embassy in London, SW1. The arrest took place today, Thursday 11 April, on a warrant which was issued by the Magistrates’ Court back in June 2012. Assange was arrested for failing to surrender to the court. Assange will remain at a central London police station until he is due to stand before Westminster Magistrates’ Court, which is likely to happen soon. 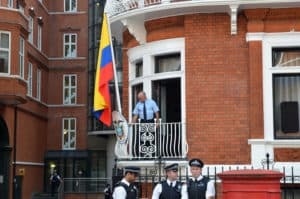 The arrest comes after the Ecuadorian government withdrew asylum for Assange, with the Ecuadorian Ambassador inviting the MPS to the embassy. Assange had been living in the embassy under asylum for almost seven years before the arrest. 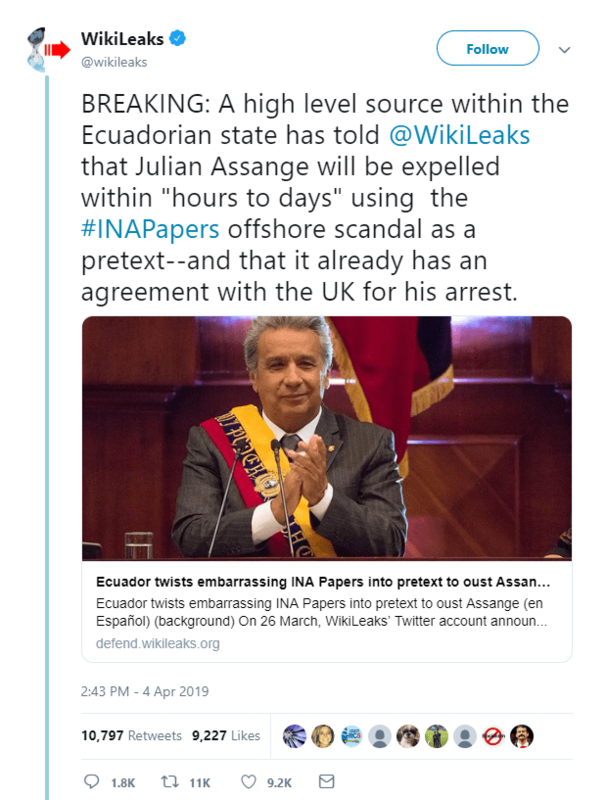 Wikileaks, the international non-profit that is notorious for publishing state secrets, tweeted on Thursday 4 April suggesting a high-level source within the Ecuadorian state had informed the organization that Assange was likely to be expelled imminently. Wikileaks is famous in the Bitcoin community for being one of the first major establishments to accept donations via Bitcoin. WikiLeaks.org has been censored by many countries and states, with users having to resort to using a VPN to connect and view the website. Wikileaks Co-founder Julian Assange Arrested in Ecuadorian Embassy, London was originally found on Cryptocurrency News | Tech, Privacy, Bitcoin & Blockchain | Blokt.